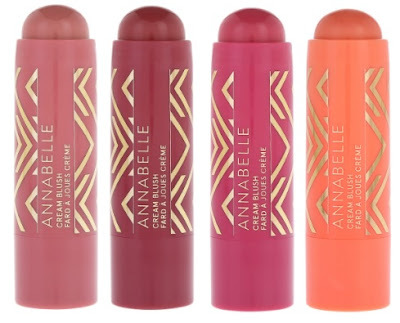 Get the perfect cream blush and glow with Annabelle Illustrious! Annabelle Perfect Cream Blush - $9.95 - in 4 shades: Golden Pink, Berry, Light Berry and Subtle Coral - a blendable cheek stick that gives you natural-looking flushed cheeks in one swipe. Annabelle Perfect Cream Highlight - $9.95 - in 2 shades: Light Champagne and Lustrous Gold - a cream highlighter that gives you show-stopping radiance in one swipe, eliminating dull-looking skin. 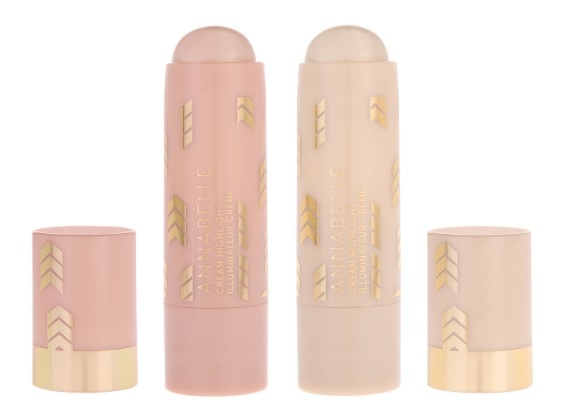 Both feature a waterproof formula that ensures long-lasting, sweat-proof wear for those long days at the office or long nights partying and can be used together for glowing colour or separately for a more subtle flush or glow. Available as part of the Illustrious Luminous Collection which also includes 6 shades of Waterline Matte/Luminous Kohl Eyeliners - $8.95 in Lavender, Beige, Mint, Blackest Black, Brown and Champagne as well as 2 limited edition shades of Big Show Lip Shine - $9.95 in Sweet Berry and Rose Gold.